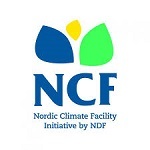 The Nordic Climate Facility (NCF) provides funding to programs in the world’s low-income countries that address climate change and poverty reduction. The NCF is financed by the Nordic Development Fund supported by the five Nordic countries: Denmark, Finland, Iceland, Norway, and Sweden. Nordic Climate Facility. The Facility promotes the exchange of technology, know-how, and innovative ideas between the Nordic countries and the low-income countries on matters of climate change. Sectoral interests range across environment, transport, water and sanitation, health, agriculture, forestry, and other areas of natural resource management. Grants are to Nordic organizations (authorities, municipalities, companies, and institutes) in collaboration with partners in eligible low-income countries. Grants range from €250 thousand to €500 thousand. APPLICATION: The Nordic Climate Facility makes calls for proposals. Each call defines one or more themes. Applications are submitted by a Nordic entity in cooperation with partners in eligible countries. The Facility has a two-stage process for selecting projects. It invites concept notes according to the information it posts in each call for proposals. It requests final proposals from the top-rated concept notes. Potential applicants to the Nordic Climate Facility should review previously funded projects. The Nordic Development Fund maintain offices in Helsinki (contact NDF).